At Classico®, we have been crafting Italian-inspired pasta sauces for more than 25 years. We use the finest ingredients including vine-ripened tomatoes, aromatic cheeses and olive oil, and we select the best herbs and spices to complement each distinct flavor. These ingredients are combined using time-honored recipes to create a just like homemade taste that you have come to enjoy and expect from Classico. The Mason jar name comes from its inventor, John Landis Mason. In 1858, at the age of 26 and working as a tinsmith, he developed and patented the first glass jar with a reusable, screw-on, metal lid. Before the invention of the Mason jar, farmers had used a variety of methods to keep foods fresher and prevent spoilage; foods were often salted, smoked, dried or soaked in sugar. Canning methods did exist but they proved to be unreliable, unsafe and inconvenient. 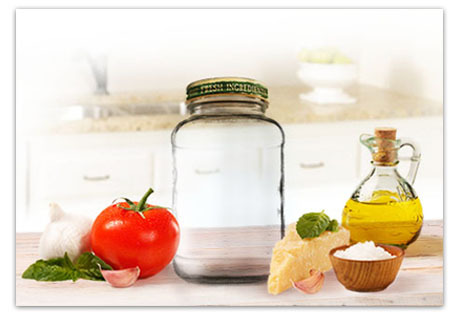 Mason’s invention, a square-shouldered jar with an airtight seal, was a breakthrough in the food industry at that time and it helped pave the way for at-home canning that is still being used today. Pasta sauce in a clear glass Mason jar was always a natural fit. For many years, Italian cooks would spend much of the day searching the farmer’s markets for the freshest ingredients, gathering aromatic herbs from their gardens and then masterfully combining everything to create unique, flavorful sauces. Taking pride in their delicious creations, they would then store the left-over sauce in Mason jars to save for later use or to share with close friends and family. Inspired by this tradition and the heritage of Italian cuisine, each jar of Classico brings a rich, authentic taste to your dinner table.